Emotions tend to run high in custody proceedings and parents often lose sight of what's best for their children. Florida has enacted several laws designed to protect the best interests of these children. Judges may consider factors such as the child's adjustment to her current environment, the parenting skills of each parent and the ability and willingness of each parent to help the child maintain a relationship with the other parent. Any history of domestic violence or child abuse weighs against the abusive parent in custody determinations. 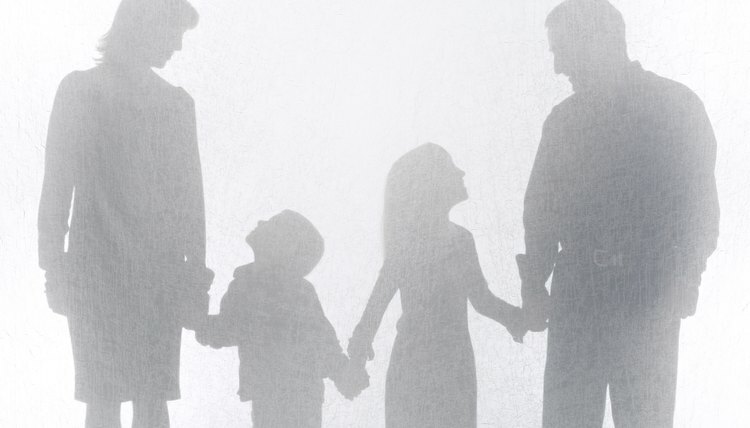 Florida favors family unity and judges frequently order some variety of shared custody. Parents can also jointly agree to a shared parenting arrangement. In joint legal custody arrangements, parents share equally in decision-making responsibility for a child but may not necessarily spend equal amounts of time with them. Parents must make all decisions together. In cases where parents reach an impasse, each parent may be granted final say over certain areas. For example, the mother might determine extracurricular activities while the father makes educational decisions. In other cases, parents may be ordered to consult with a parenting coordinator or child expert to help them reach agreements regarding their children. One parent may still be the primary physical custodian in joint custody arrangements. In joint physical custody arrangements, parents share physical time with the child. The amount of time each parent spends with the child may not be exactly equal, with several possible arrangements available. Parents may alternate weeks or months with the child, or one parent might have the children during the school year while the other parent has the children during the summer months. Parents who have joint legal custody almost always have joint physical custody. Florida enacted the Uniform Child Custody Jurisdiction and Enforcement Act to ensure that child custody arrangements will be enforced even when one parent lives outside of Florida. Florida has jurisdiction to hear custody cases if the child's primary residence is in Florida, so one parent cannot move out of state with the child to avoid the jurisdiction of Florida courts. Similarly, when one parent violates a custody agreement, courts have the power to hold the parent in contempt. Frequent violation of custody agreements, or attempts to keep the child away from the other parent during custody proceedings, may be used against a parent at trial. One parent's decision to relocate can interfere with joint custody arrangements. Parents who intend to relocate more than 50 miles away from the other parent must receive the written consent of the other parent or file a notice of intent to relocate with the court and receive permission. If permission is granted, the court may enter a new custody order designed to ensure the other parent's access to the child. One parent's relocation can also constitute a material change in the child's circumstances, giving the other parent the ability to petition for a new custody arrangement.